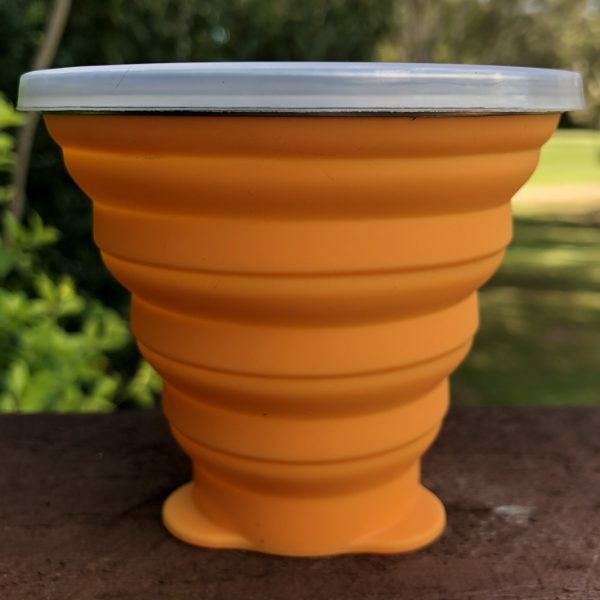 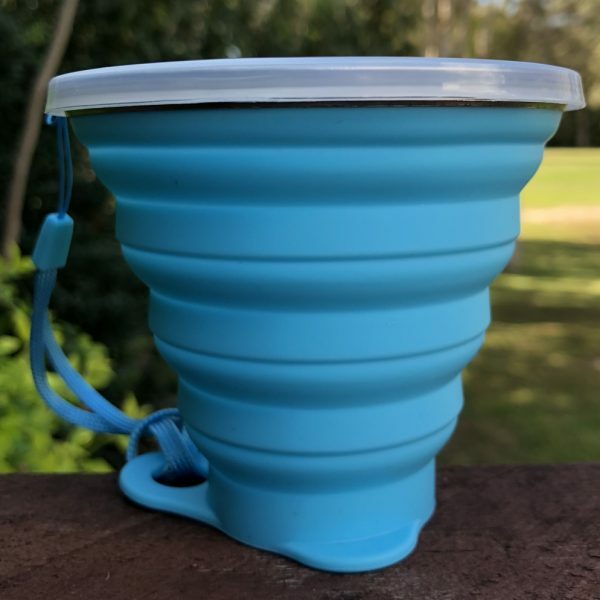 The reusable collapsible festival cup is made of food grade silicone and folds down flat so it will fit in your bag or pocket. 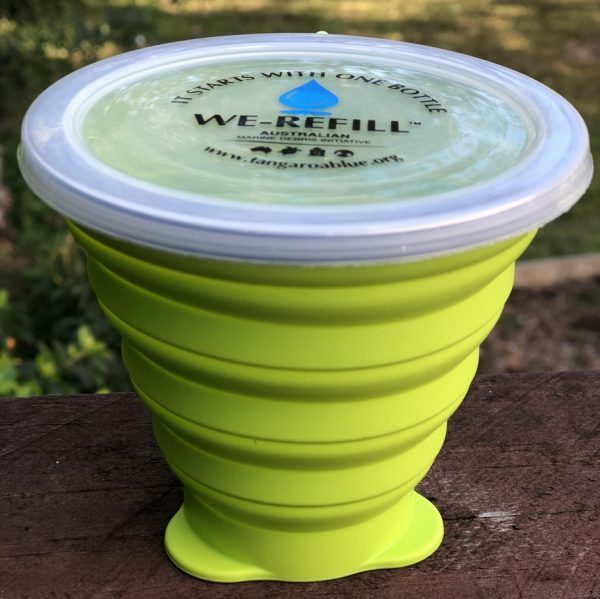 The tight and snugly fitting lid seals to prevent spills and dust getting in your drink and each lid is attached so you won’t lose the lid. The stainless steel rim at the top is strong and maintains the integrity of the collapsible cup, making the cup much easier to hold and drink. 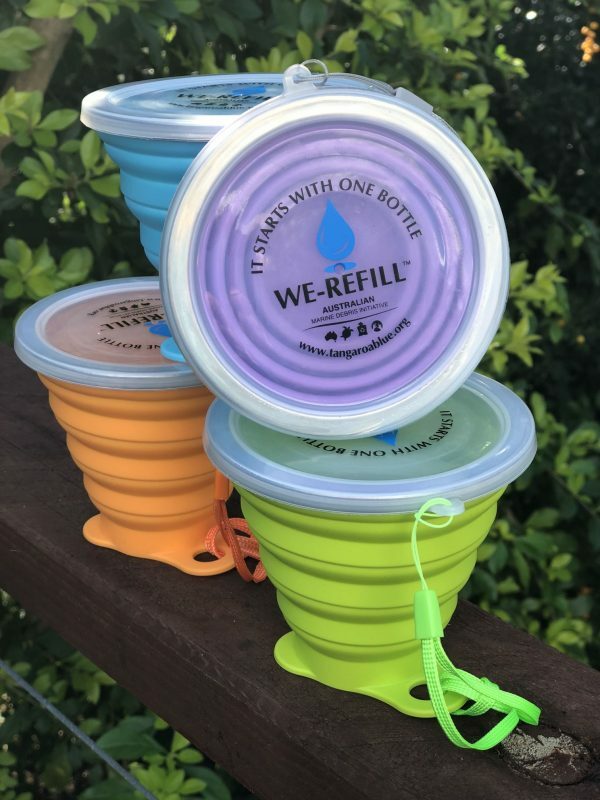 The cups are easy to clean, just wash it under running water and they are also dishwasher safe. 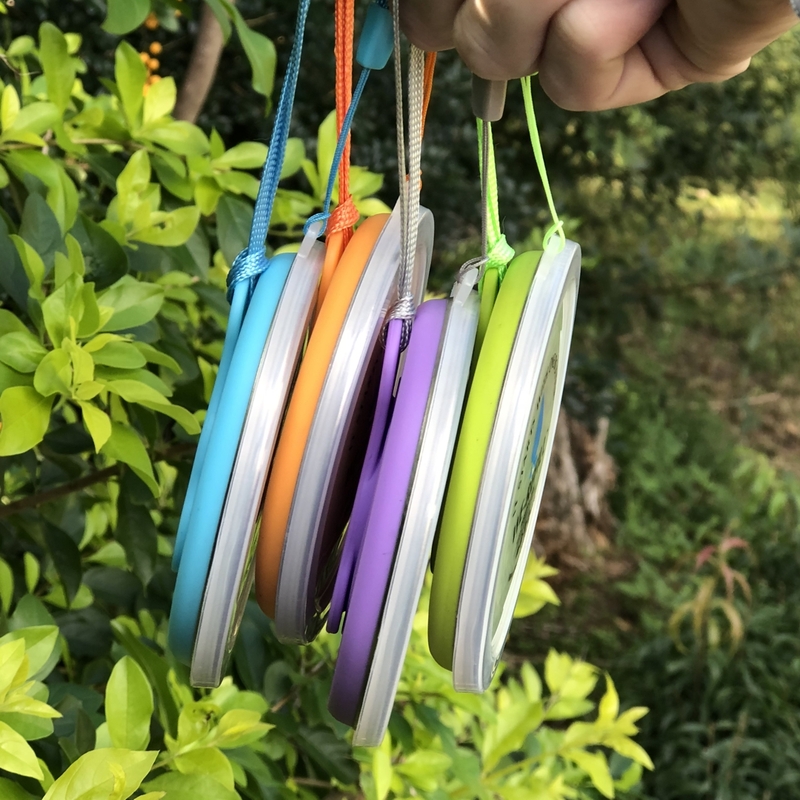 Size: Top Rim 95mm, Bottom 45mm, Height 85mm. Folds down to 15mm thick ! 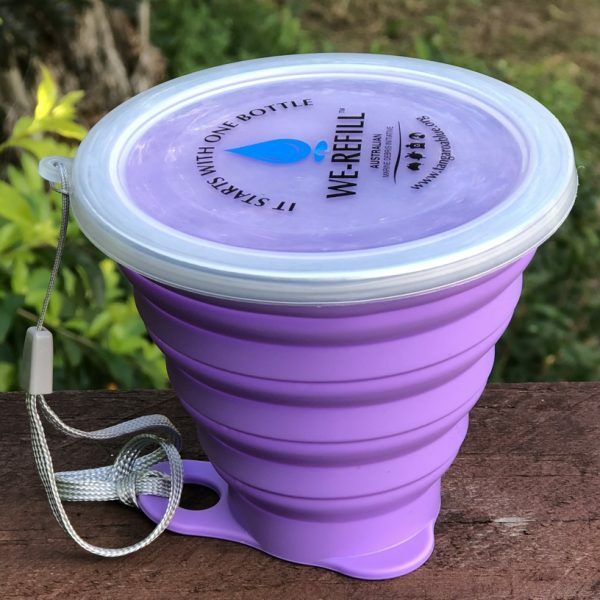 Proceeds will be donated to our partner Tangaroa Blue to help fund community reduction plans – stopping rubbish at the source.